Adam Lambert as Pitch Black. 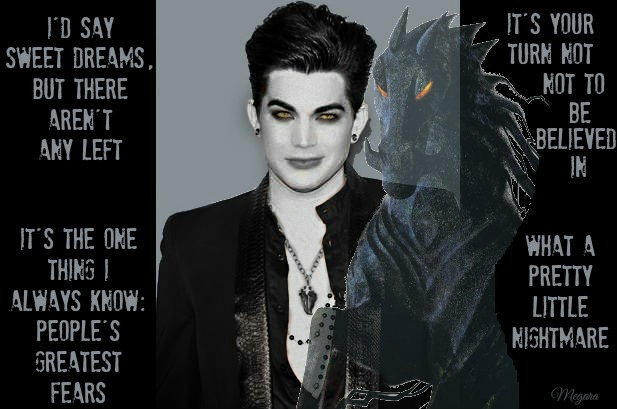 It didn't turn out quite like I had imagined, but I had to try because I love both Adam and Pitch.. Wallpaper and background images in the Rise of the Guardians club tagged: photo rise of the guardians pitch pitch black adam lambert quotes nightmare. This Rise of the Guardians photo contains sign, poster, text, and chalkboard. There might also be newspaper, paper, magazine, tabloid, rag, anime, comic book, manga, and cartoon.